I travel to my village often for family responsibilities of attending funerals, wedding and festivals on behalf of my family , 5 years ago the only smartphones I saw were from those who had arrived from the ‘city” ,Though I could clearly see at least of those who carried a phone in the village were largely men and also that they carried a feature phone often referred to as a dumb phone ( The GSMA gender gap research 2018 shows that in subsharan Africa women are 14% less likely to own a mobile phone than a man and this gap increases in areas where there are lower penetration of mobile phones). Even though now I see more smart phones owned in the village, according to the GSMA over 700 million have sim connection and only a 250 million use their sims in a smartphone, 36%. The lack of internet penetration is probably one of the reasons why mobile services like SMS and USSD will still be one of the strongest enablers of technology services for the forseeable future even as smartphone cost lower, along with internet cost and internet penetration increases. Farmerline that provides relevant data to farmers leveraged heavily of USSD to reach their farmers , a large proportion on banks in addition to provide an App also have USSD for their client to access banking services. 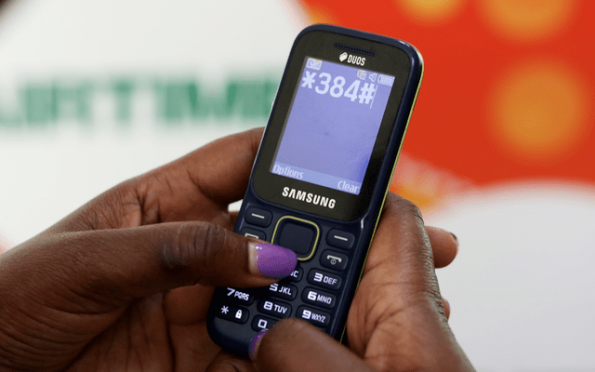 Entrepreneurs like the cofounders of Africa Talking have raised over 8million to leveraging on this provide services for developers to connect with Telco’s in order to build SMS and USSD based applications and this is not changing anytime soon.